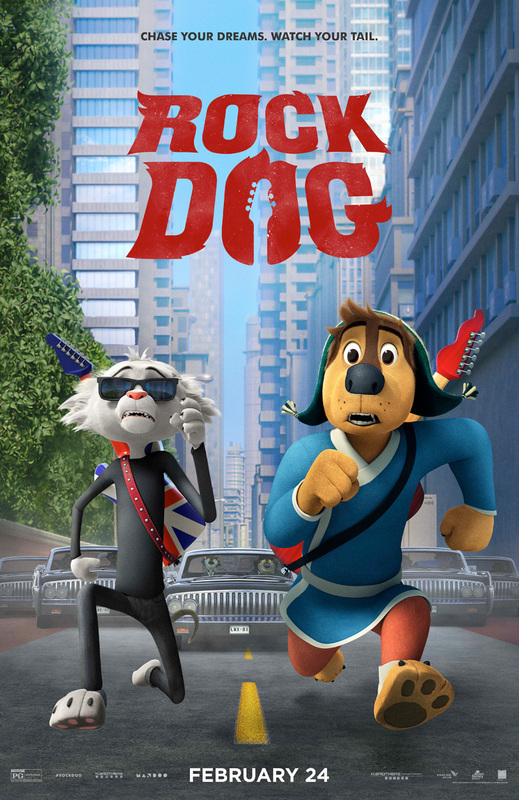 For the Tibetan Mastiffs living on Snow Mountain, a dog's life has a simple riff: Guard a peaceful village of wool-making sheep from the thuggish wolf Linnux (Lewis Black) and his rabid pack. To avoid distractions, Mastiff leader Khampa (J.K. Simmons) forbids all music from the mountain. But when Khampa's son Bodi (Luke Wilson) discovers a radio dropped by a passing airplane, it takes just a few guitar licks for his fate to be sealed: Bodi wants to be a rock 'n' roll star. Yet that means defying his father's wishes, heading to the city, and locating the legendary - and reclusive - musician Angus Scattergood (Eddie Izzard), who needs to write a new song and fast. If Bodi can put a band together, help Angus with his song, and defeat the wolves' plot to take Snow Mountain, his life will be in tune. 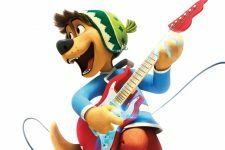 Bodi will become what he's always dreamed of being: More than a dog ... more than a Rock God... he'll be a ROCK DOG!